There are many excellent fishing guides in the state of Florida so choosing the right one for your needs can be quite a task. I will outline a couple of things I think will help you ask the right questions and insure a fun and safe trip for your charter. The following is a bluntly honest and sometimes humorous guide to help you find the right Captain! First confirm your guide is properly licensed and insured. They should possess a current USCG Merchant Mariner Credential, commonly referred to as a Captain's License. Which is generally either an OUPV 6 pack license or a Guide License for a specific area. They must also possess a TWIC card for identification. 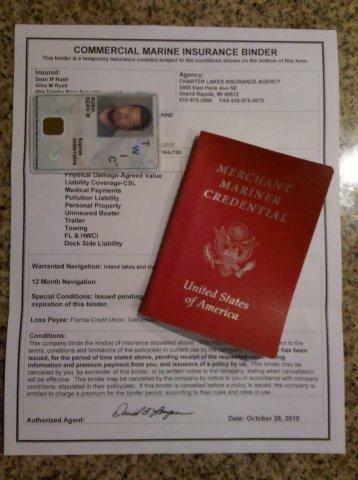 While the FWC may not require the license the Coast Guard does and requires a guide to have these documents on the vessel when fishing a charter. Also a good idea is to confirm your guide has commercial fishing guide insurance! They should also be outfitted with all required USCG safety equipment including Type 1 PFD's. These items are important for your protection and safety. Don't be afraid to ask! They are extremely important and will weed out folks that are not legit or unable to legally acquire the necessary licensing and coverage and could leave you holding the bag! When selecting a fishing guide don't be afraid to do a little research. Perhaps and MOST IMPORTANTLY, the easiest way to weed out the pretenders from the legitimate trophy bass guides is to look at the fish pictures on their website! Do the photos look dated or weights exaggerated? Experienced anglers can easily pick apart these photos by looking at things like the size of someone’s hand in relation to the size of the fish’s mouth. The old hold them way out trick! TRUST ME, a guide is going to put his best foot forward on his site! Regardless of CLAIMS of big fish, a flashy website, pricy boats, claims of experience or tournament experience, if you’re not seeing giant fish and LOTS of them in RECENT photos, they aren’t catching them!! The official Florida state record is 17.27 pounds. I’ve actually seen sites where shady guides claim to catch larger fish on a regular basis! I’m guessing these guys are also selling ocean front property in Arizona! Believe me if they caught fish that large they would be getting them certified and crowing about them. Recognition from a fish like that alone could make a guide’s career! There is a wonderful new program out there from the Florida Game and Fish Commission called TrophyCatch Florida. This will also be a great tool in discerning who is really catching large bass weighing in excess of 13 pounds. It rewards anglers for catching large bass over 8 pounds with prizes. A bass 13 pounds and over is called a Hall of Fame fish and is worth nearly $1000 in prizes. Any legitimate bass guide in Florida knows this program and should assist their customers in entering their fish for them. This will be a great tool to weed out the pretenders from the legit Florida Trophy Bass Fishing Guides. All of our fish are weighed on a Boga Grip and fish exceeding the required 8 pounds are entered into the program. The Boga Grip is a scale you can actually certify world record fish on if first properly certified by the IGFA. I will never exaggerate numbers of fish caught or weights of any fish boated in order to gain your business. I am blessed to be on the water year round and work hard to locate these giant fish and thankfully don’t need to be dishonest to gain a customer’s business. Honesty is always the best policy here! 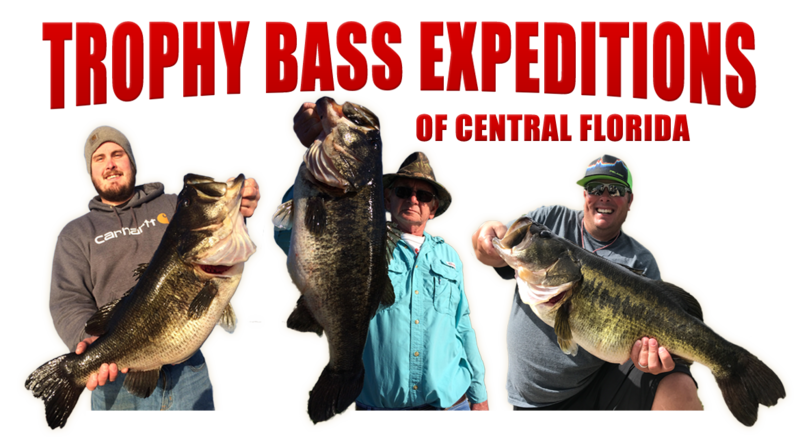 Also equally important is to confirm they are a year round, full time, seven day a week Florida Bass Fishing Guide Service! There are many guys doing it part time for various reasons. The conditions can change daily on any given body of water. The best bet for your hard earned money is someone who is on the water every day and has been there through many seasons. There are daily as well as seasonal changes that a good guide will be able to adjust for. Don’t pay your hard earned money to help a part time guide locate fish for his next customers! Find a guide that specializes on that body of water and has years of experience guiding clients and not just fishing it. Beware of guide referral websites. Customers have brought it to my attention that these services simply pull a guide that was the closest they had to the fishery, but in fact had little experience there. Don't be afraid to call local bait shops or marinas and see who they'd recommend. Listen folks if you are looking to ride around in an 80 mph bass boat with flashy decals and driven by a fella in a snazzy fishing shirt with his name plastered on both, or looking for someone with a ton of YouTube videos or maybe even looking for someone who posts every single fish they catch on some sort of social media for attention, you should probably turn the page! I spend 300 to 340 days on the water a year GUIDING clients and pursuing GIANT bass! Quite simply put I’m blessed to be in a position where I can focus on the pursuit of trophy bass almost exclusively and not constantly trying to have to generate business. I do enjoy sharing my customers experiences on social media and do some updates once a week or so, but really try and make it about their experience and not about trying to draw attention to myself. So if you’re looking for one of the hardest working guides, focused on nothing in the world but putting you on that fish of a life time, you’ve found your man! Copyright Florida Trophy Bass © 2019. All Rights Reserved.